Registration for BSAVA Congress 2018 – the largest event in Europe dedicated to the provision of small animal veterinary CPD – is now open. 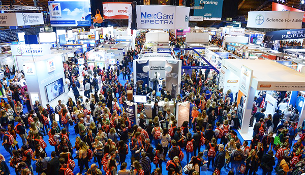 Around 7,000 delegates are expected to attend the BSAVA’s flagship four-day event, which delivers a diverse programme of more than 450 lectures and practical sessions from the world’s leading veterinary speakers. There is also an extensive exhibition featuring the latest technological innovations, consumables and services, the annual BSAVA Awards honouring the profession’s outstanding individuals, and a full social programme including Movie Night on Thursday and V18 festival on Saturday evening. 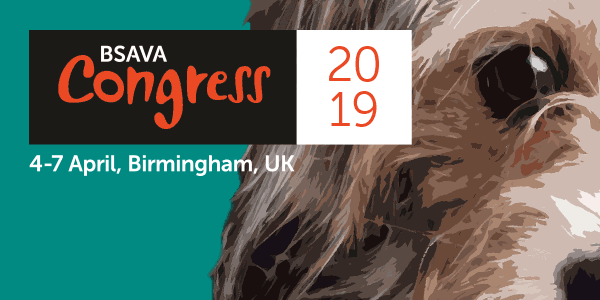 The 61st annual BSAVA Congress takes place at the Birmingham ICC and Birmingham Arena from 5-8 April, including a new non-clinical stream on Sunday – Beyond the Clinics. Angharad Belcher, BSAVA Head of Congress said the event celebrates scientific excellence in education and innovation, and is firmly focused on the future of the profession. “The 2018 programme is vibrant, diverse and ambitious. It aims to inspire vets, veterinary nurses and practice managers at all stages of their careers, and seeks to address the challenges ahead for veterinary science and our partnerships with industry. Delegates attending the full four days of Congress can gain up to 31 hours of CPD for a vet or up to 30 hours for a veterinary nurse.